In 1974 fans of horror cinema where treated to a new breed of American horror film: The Slasher Genre. Although they paved the way, Bob Clark’s Black Christmas and Silent Night, Bloody Night (both in 1974) were greeted with animosity from most critics. It wasn’t until 1978 that young filmmaker John Carpenter (and his co-writer, the late Debra Hill) introduced audiences to the indestructible boogeyman with Halloween. This low budget feature broke the mold of horror and suddenly new life (or death) was breathed into a once stale genre. With the original Halloween (its hard to say anything new on this film, but I’ll try my best) we have the founding basis of the story of The Shape (aka Michael Myers). 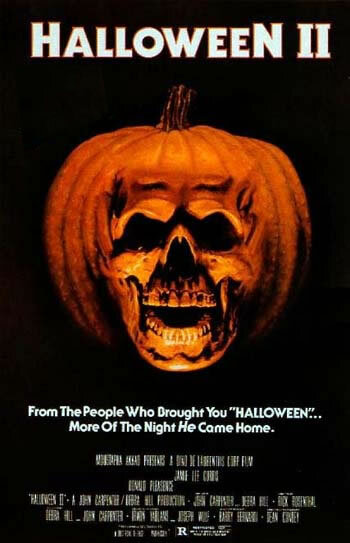 Like many horror fans, Halloween was my entry point into both the slasher genre and more the violent horror features. My memories of a first viewing are still as fresh as all those years ago on a windy Halloween night (incidentally the first viewing was also in America, so it made me even more fearful). From a personal point of view, Halloween has always been a fantastically well-crafted film. Its chilling opening moments, use of a simplistic but menacing score and its gliding steadi-cam shots, still feel as fresh as when It was first viewed. One of the strongest points of Halloween is the aforementioned score. Carpenter manages to instill a sense of fear and foreboding with just a few simplistic notes. This is as clever as John William’s own score for Jaws, the use of such basic musical touches to bring the film together. After a slew of sequels and remakes (along with a sequel to the remake), Halloween has left a lasting legacy on the modern slasher – being one of the great influences on writer Kevin Williamson (as everyone knows Halloween is referenced throughout Scream). Of all the convoluted narrative directions and ridiculous plot revelations that have progressed with the series, there are three particular entries which I believe come together to form a solid – unofficial – trilogy. 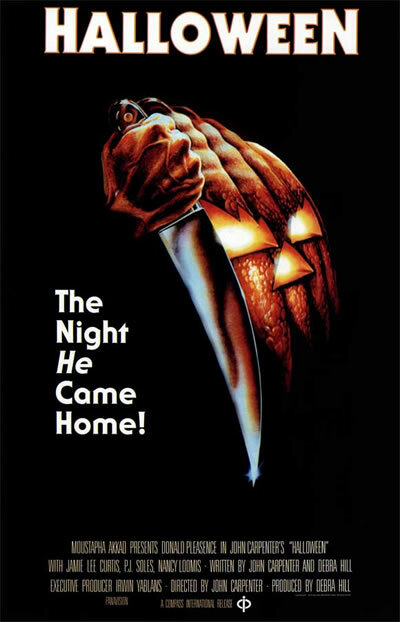 Bowing out of directorial duties for Halloween 2 (that honor goes to director Rick Rosenthal), Carpenter instead wrote the screenplay and (if this is true) came up with the idea of Laurie and Michael being siblings as a last ditch attempt to lay the series to rest. Part 2 of the franchise kicks off during the closing events of the first film. In the aftermath of Myer’s rampage, Laurie Strode is taken to hospital a quivering wreck fearful of Michael’s return. While Carpenters original was relatively small in scale and low on budget, Rosenthal’s follow-up increases the size of the setting (the hospital is almost a central character in itself) and shows more of Michael’s brutality as he hunts down a disturbed Laurie. While many horror fans believe Halloween III: Season of The Witch to be one of the most underrated horror sequels (personally its right up there with Psycho 2 in the underrated stakes), Halloween 2 is a good (but not great) continuation of the original. While the first was almost bloodless in its violence, relying more on the malevolent, always watching presence of Myer, part 2 upped the gore and violence. Some of it is just plain mean. One of the more violent death scenes in the film, when compared to the first films kills, sees a scantly clad nurse meet her maker via scolding hot water. In this case Michael decides to repeatedly dunk her head into the increasingly boiling water until her skin starts peeling off. The end result is close to stomach churning, but it is one of the many reasons why one might revisit Halloween 2. Another example of Michael’s unashamed brutality to the hard working hospital night staff includes an early kill to poor old security guard, Mr Garrett. Seemingly unaware of Myer’s presence (as all his victims usually are), Mr Garrett receives a rather painful fire axe to the back of the head. The same violent end can also been seen to countless others during the course of the film (one such needle to face trauma is particularly wince inducing). By the time Halloween 2 has reached its (somewhat formulaic) conclusion, we are left with a Halloween film that expands on the first films mythology and goes off on an interesting tangent. In the end Halloween is always going to be a hard film to follow up but Halloween 2 feels harder and bleaker then the original cult classic. But like any good (or bad) horror film franchise, you just can’t keep the damn thing buried. After numerous sequels (four of which had no Laurie), each seemed to branch off into more supernatural elements. Laurie was to have one final (official) confrontation with Michael, with Halloween H20. As a personal preference and for my own sanity, I have decided to ignore the fact that Halloween: Resurrection gives an unfulfilling conclusion to Laurie and Michaels story arc. Thankfully before the utterly awful eighth entry (which runs closely with the shockingly bad Halloween 6: The Curse Of Michael Myers) there came, what I believe, to be the last part of the Laurie and Michael saga. In Halloween H20 (remember kids its 20 years on from the original and as such is lacking in aquatic fatalities sadly) Laurie finally tackles her past head on. Admittedly the first half of this film is all build up, almost making one yearn for the Laurie/Michael confrontation. Thankfully it’s peppered with sly little nods to other classics of the horror genre. One such moment occurs when Norma (played by Janet Leigh) turns to her car, only to have the a few noticeable bars from Bernard Herman’s Psycho score play in the background. It’s a bittersweet moment to have both the scream queens from two of the most well known (and respected) slashers, present on screen at the same time. Barring the smart nods to previous genre features, when the action and deaths start happening in the movies second half, fans finally get the confrontation they have been waiting for. For the briefest of moments Laurie suddenly becomes the stalker (and Michael the victim) as she hunts her brother down, welding the iconic horror weapon, an axe. When the climatic face off takes place, cheers and melancholy will cascade over the viewer. The finality of it the siblings story is truly impressive and even now seems the best way to end this (almost never ending) series. As aforementioned, these specific features are the ones that are closest to my heart (as a fan of horror). They are also (in a structural sense) the most complete of the series, having a fully developed and tense family feud running through them. But what was the point of all this you may wonder? Well as Halloween is fast approaching (as well as our own special screening of Halloween happening on November 15th), it seems appropriate to delve into the horror history of two classic genre characters. Of all the Halloween films many fans have their individual favorites (there’s a lot of love for the Michael-less Halloween III) and as you can see this is my own, personal look over three of the best. From Halloween, to Halloween 2 and finally Halloween H20, fans have been given a lasting legacy for the two characters. Their problematic relationship that could rival any late night soap as it has become an engaging piece of horror mythology. So this Halloween for the ultimate Myers experience in violent sibling rivalry, do a triple bill of the above features. Just make sure ‘He’ isn’t home when you do.